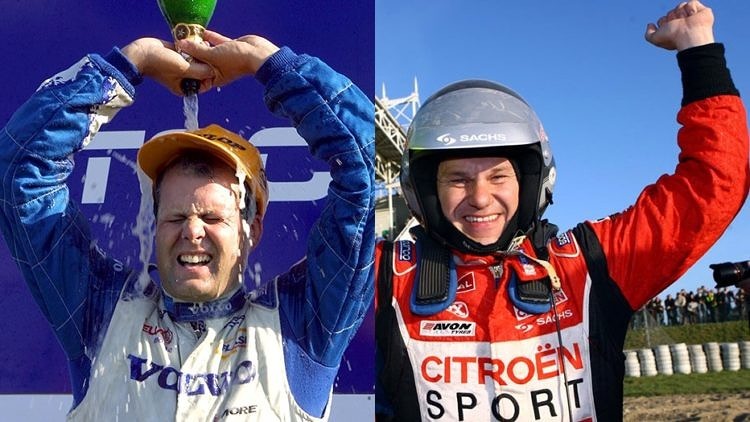 Two of the biggest Swedish motorsport profiles in the form of double STCC champion Jan ”Flash” Nilsson and 14-time European rallycross champion Kenneth Hansen has joined C More and Sportkanalen as expert commentators for the STCC and RallyX Nordic broadcasts. ”With ”Flash” and Hansen we have gained two extremely successful drivers with a deep insight in the championships that they are going to cover, they will provide our viewers with a new level of expertise. We cannot imagine a better line-up than this,” said Johan Cederqvist, Head of Programs at Bonnier Broadcasting Sport. There is no other driver with more STCC races completed than ”Flash” with 231 and he has the third most victories with 35, despite him not having raced a full season since 2011. ”Swedish racing is on the rise again and it feel great to be a part of this. This will be an exciting journey for both me and the viewers to report on all the young drivers that are going to challenge the established drivers in what is one of the strongest STCC fields ever,” said ”Flash”. C More and Sportkanalen have launched a major programme for Swedish motorsport with a five-year deal to live broadcast both STCC and RallyX Nordic, where the most experienced rallycross driver ever will provide the expert commentary. ”Swedish rallycross is of course something close to my heart and to contribute to the sport by commentating in C More and Sportkanalen’s strong programme for Swedish motorsport feels incredibly rewarding,” said Hansen. Both STCC and RallyX Nordic will host their season starts this weekend with STCC at Knutstorp on May 4-5th and RallyX Nordic in Höljes on May 6th, more information at www.stcc.se and www.rallyx.se.